I reached six months pregnant recently and suddenly I realized that there’s a baby at the end of all this. Obvious, I know, but it’s so easy to get caught up in the day to day realities of pregnancy. Between the morning sickness (which still shows up every morning promptly at 9:30) to the emotional outbursts, some days it’s all I can do just to get through the day. I’m lucky to have really awesome people in my life that forgive me for my dark moods, my sometimes overwhelming anxiety and my extreme irritability. I may not show it very well, but I appreciate the people in my life now more than ever. I literally could not get through this without the kindness of others. And….now I’m crying. Oh yeah, I ugly cry at my desk at work at least once a week. And in my car. This is pregnancy. That being said, seriously cool things are happening. We found out the gender – a BOY! We picked a name – Colton Davis! And little man has started moving around like crazy. I cannot describe the pure happiness I feel when he starts rocking and rolling, especially if he’s been quiet for a while. And surprisingly/not surprising, my husband and I are closer than ever. A long time ago Clay asked me if he and Savy were hanging off a cliff, which one would I choose. We all know what the answer used to be, but now I’d pick Clay. If I’m being a gigantic B for no reason, rather than get angry he will gently ask me if I’m ok, at which point I will confess grumpiness. Sometimes I can stop being a gigantic B, but sometimes I just have to go to bed. He’s stepped up in ways that have surprised both of us I think, as Clay used to claim he was incapable of taking care of someone. I stopped riding at 22 weeks after a 15 minute ride lamed me for 2 days. My body resolutely said NO MORE, you are done. While I miss riding, I have a big baby bump. My balance is off and I admit I waddle. Considering how much of a challenge walking is, I know I couldn’t ride right now even if I wanted to. Actually, if everyone could stop asking if I’m having twins that would be really nice 🙂 Still, I’m proud I made it to 5 1/2 months before I had to quit. Since we don’t ride anymore I’ve committed myself to thorough grooming, lunging and ground driving. I’ll bribe the hubs to come take some video soon so everyone can see what I mean by ground driving. The simple answer? I don’t know. There is no simple answer, at least not for me and Savy. In my last blog I mention that since the surgery, Savy had been more relaxed and happy than ever before. She was a dream to ride – steady in the contact and swinging through her nicely lifted back. Then I asked for lateral work, and it all fell apart. All of the tension, attitude and anger was back. Queue mutual temper tantrums and meltdowns. After a week of terrible rides, and a meltdown (on my part) which ended in me yelling at Savy for pooping too much (it was ridiculous, like 6 times in 10 minutes, but still no excuse), I took a step back. I had to. After so many of these type of relapses, I can’t handle it anymore. I took a week off and just thought about Savy, training, and the possible physical reasons why she might be acting this way. I also realized that Savy either ignored me, or grossly over-reacted to my aids. As an example, if I would ask her for a walk to trot transition, she would ignore my leg aids until I had to use the whip, at which point she would act completely offended, like I was abusing her. Finally I realized Savy didn’t understand the difference between respect and fear. After sharing my realization with my trainer, she suggest ground work. 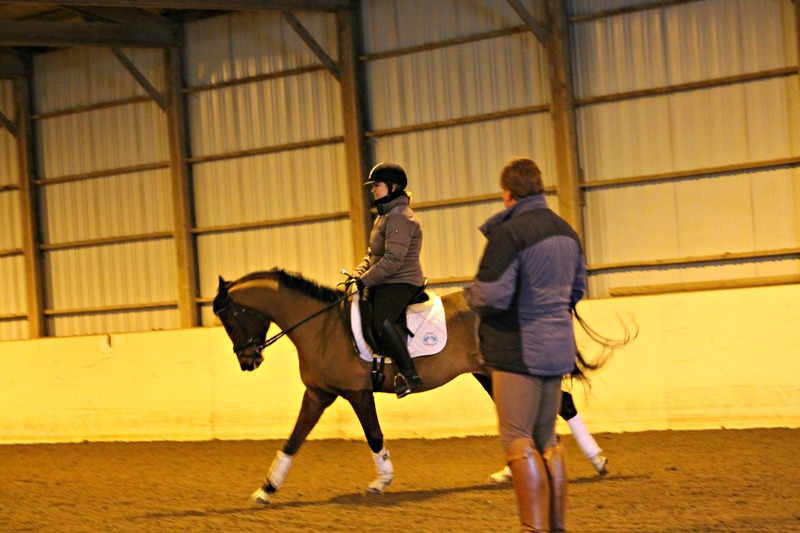 Our first ground work lesson was simple and astounding. It was obvious from the beginning that I didn’t understand respect either. We spent the hour learning about personal space, and walking, backing and stopping with attention. 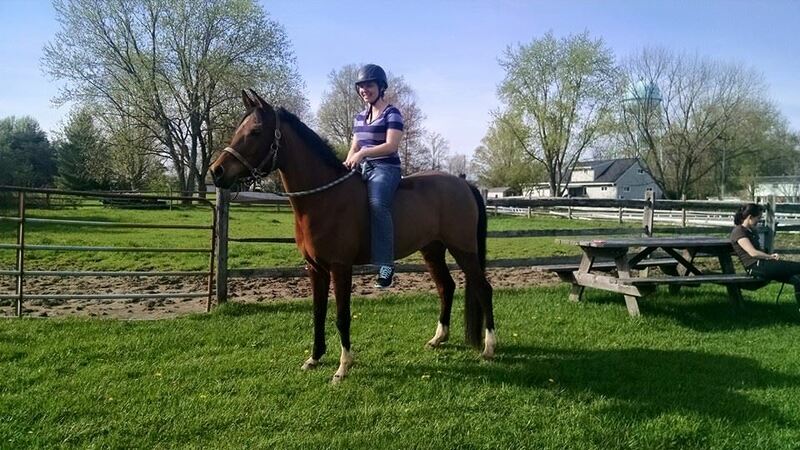 By our second ground work lesson, Savy had figured out what I wanted and had gone back to zoning out. Just that fast. She’s too smart. So we had to turn up the difficulty, we ran and stopped. We learned turn on the forehand and turn on the haunches. Savy still gets opinionated, but it’s so much easier to deal with her emotions from the ground. Savy has always been weaker and more tense on her left side (she’s right handed), but now she’s very tense on her right side. I had her massaged and adjusted by the chiropractor. Poor girl is a mess. She was out just about everywhere, except her left hind, ironically. She even had a rib out. The chiro said a lot of times the surgery itself can cause a lot of problems, since they are lifted by their legs and laid on their backs. 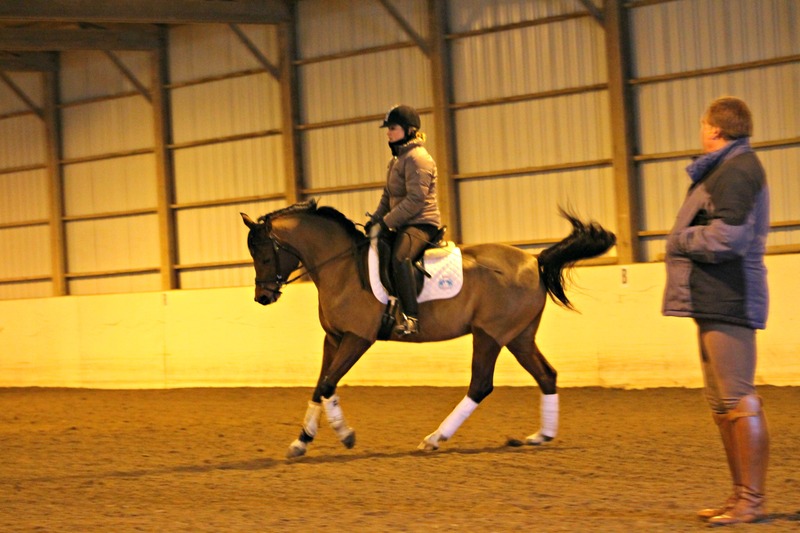 Savy had 48 hours off after her adjustment, and the plan is to start back with an easy ride of walk trot. The chiro is coming back in two weeks and the goal between now and then is to strengthen and lengthen Savy’s right stifle. I plan on spending as much time out of the ring as possible, my goal is to do trot sets on the old racing track, and in a week or so start back on the ground work. Hello all! It’s been a few months! A crazy, crazy few months. In the last three months, I’ve moved farms, started a new job, and Savy had surgery. The new farm: We landed at Dancing Horse Farm, and we’re both happier. I love the atmosphere of learning and acceptance at this farm. There are several apprentice trainers, working students, and riders at all different levels and disciplines. There’s even a mustang! 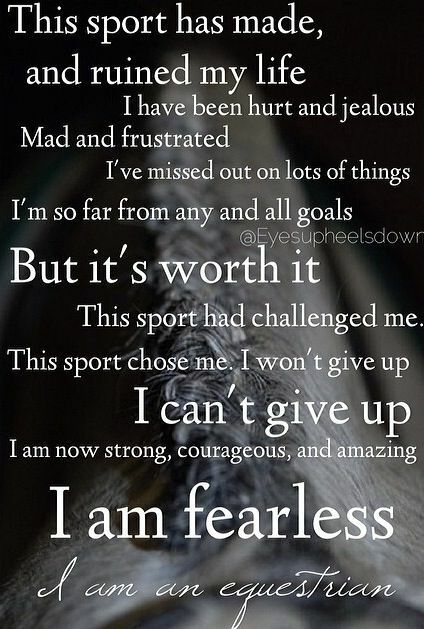 The facilities are amazing; I love the indoor arena, and there’s a half mile old racing track with good footing that’s super fun to “trail” ride on. Mostly I love the learning revolution Savy and I have experienced since the move. 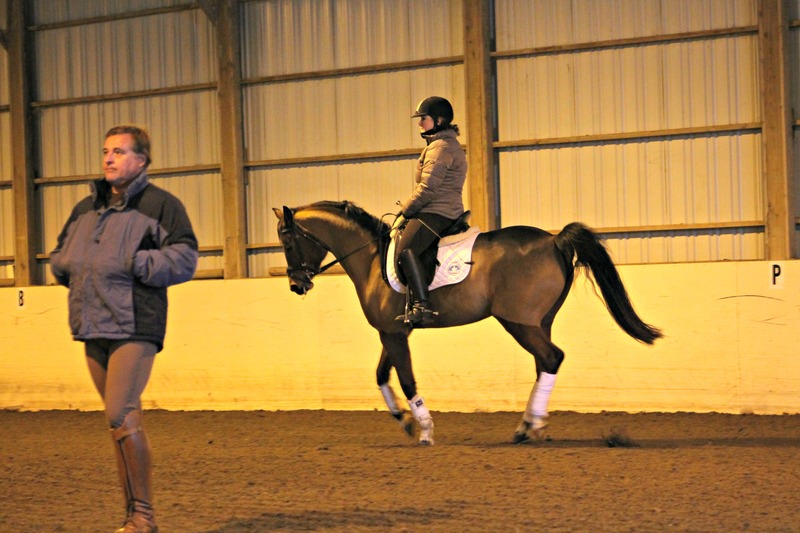 My new trainer teaches using a combination of biomechanics, classical dressage, and natural horsemanship. Books, DVDs, and outside clinicians are all part of the learning process here. Small victories are celebrated. Mostly I love leaving my lessons feeling inspired and like I learned something that I can replicate on my own. The surgery: I started noticing Savy’s stifles felt weak. They were “slipping” a little and she wasn’t reaching underneath herself with her back legs. The horse’s stifles are the knee joints in humans, and they’re what allows the horse to sleep standing up. The joints “lock”. 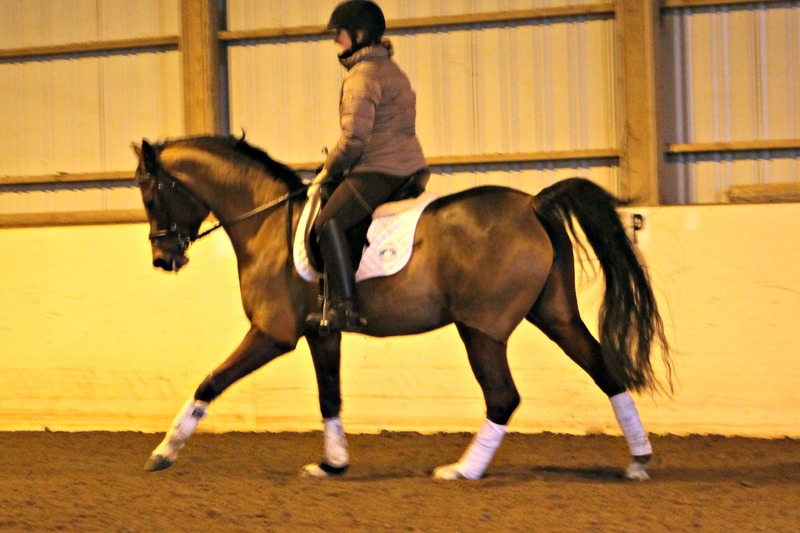 What happens when the stifle gets weak, is that it’s harder for the horse to unlock the joint, so it feels like the leg is slipping because it takes an extra second to start moving. I had the vet out and he noticed fluid in the hock joint. 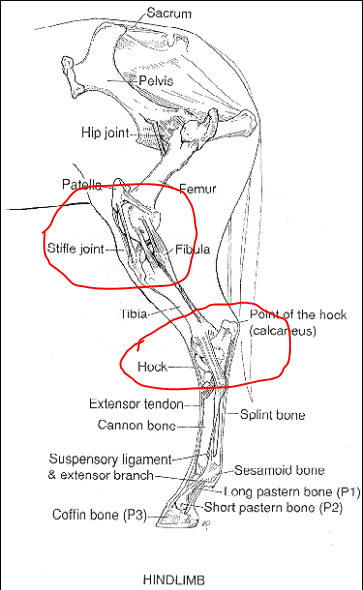 The hock joints are the ankles in humans. The vet suggested x-raying the hocks to find out exactly what was going on. He found an OCD Lesion on the left hock. An OCD lesion is basically a piece of bone that has slightly broken off. It rubs against the other joint bones and causes pain and inflammation. The recommended treatment is surgery. Thank god I got that major medical insurance! 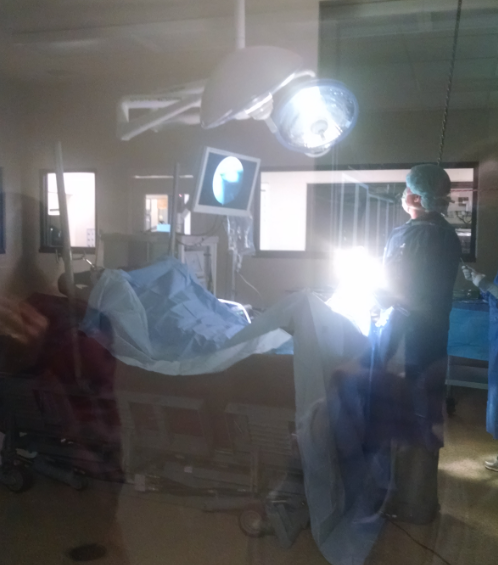 Savy had surgery at a wonderful surgical center in Lexington, KY, and was able to leave an hour after the surgery. The surgery was crazy to watch. It was done microscopically so I could see everything playing out on a monitor. It honestly looked like a tooth growing out of her bone. It was gross. There’s a surprisingly little amount of blood in the joint. Basically none. Savy handled it like a champ and was back on her feet, walking like a drunk person to her stall, in less than 10 minutes. The surgery was routine and her prognosis was good. Of course I handled the trauma with my usual grace and poise. This is it! The little piece of bone is the OCD lesion. It looks big here but it was only about the size of a pea. 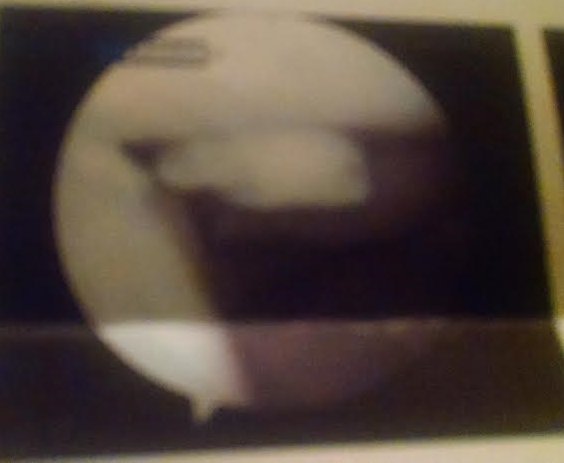 This is a picture from inside her joint. Bahahaha! I was/am a mess. I spent the entire 4 weeks from diagnosis to recovery stress eating and pouting. Savy, for the most part, stayed in good spirits, although the girls at the barn might say differently. She developed some interesting techniques for getting attention. When she learned to stomp her injured leg and stare at the live-in apprentices’ window, we decided to put her on Ace (a mild sedative) and turn her out in the dry lots. Luckily, the dry lots at our new farm are designed exactly for horses in recovery. We spent a lot of time just hanging out getting fat. It’s been 5 weeks since the surgery, and I’m finally starting to feel like things might be ok. She’s amazingly easy to ride now. Which makes me think this has been an issue long before she started showing any outward symptoms. We’re bringing her back to work at a snail’s pace, which is totally fine with me. Better safe than sorry. In the meantime, I’m working on me. Finding muscles in my “back-end” that I didn’t know existed, and finally learning how to properly post. Now that all the drama seems to have slowed down hopefully I can start posting regular training updates again. With beautiful spring weather comes spring rains, and spring rains bring gorgeous, bright green candy-grass. Hand-grazing season is upon us. 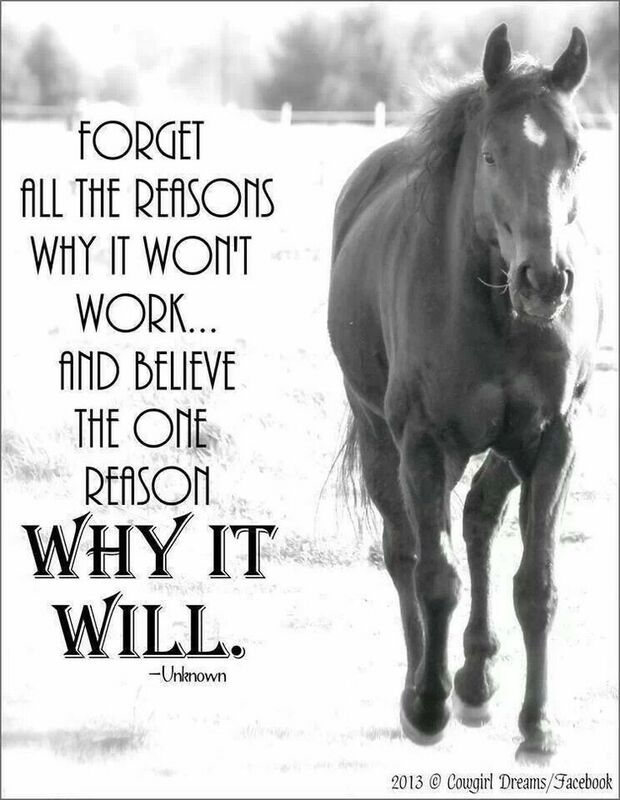 For those of us who’s horses are in a mud paddock all winter, we have to spend several weeks in spring getting the horses built up to the grass. 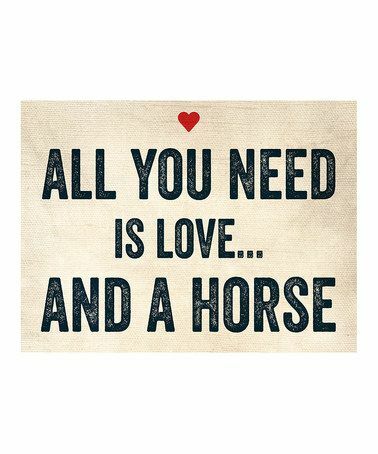 Meaning, we can’t just let the horses run wild in acres of this delicious looking grass without over eating and causing themselves health problems. 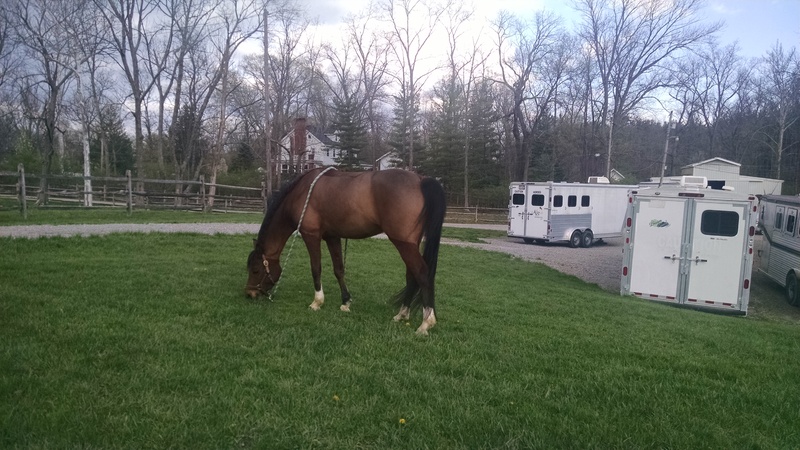 Hand grazing provides a great opportunity for introspection, since basically you’re just watching your horse gobble up the grass as fast as possible. And boy have I had a lot to think about! For a brief moment in time it looked as though Clay and I might be moving to Wellington, Fl. I know! Crazy right! But that job opportunity seems to be going no where, so the excitement is over. And these last few months I’ve discovered I still have interests outside of horses. I’ve actually cooked a few times! I literally hadn’t cooked since before I bought Savy. I re-decorated several rooms in our house. Most importantly I’ve made becoming an athlete a priority. I’m sick of having to take walk breaks during my lesson because I’m not fit enough to keep up with Nicole and Savy. I’ve been looking for a way to get fit. I joined a gym closer to my work. I went a few times and got bored. I went to a barre class. Nothing stuck. Randomly, my husbands step-sister became a Beachbody coach and started a PIYO challenge. I was intrigued. PIYO combines Pilates and yoga, two exercises that are great for riders. I did PIYO, saw some changes, and now I’m doing the 21 day fix. I really, really like the 21 day fix. I like the meal plan, it’s super easy to follow. And the workouts are just the right amount of challenging. Autumn seems to read my mind and gives me motivation right when I’m ready to quit. I plan on doing the fix until I reach my goals. Then I’d like to try another Beachbody program. What I like about Beachbody are that they’re no gimmicks. It’s coaching, meal plans, and workouts out that are designed to help people lose weight correctly. The meal plans emphasis fruits, veggies and whole grains. The workouts incorporate stretching. It feels healthy and sustainable. I know I sound like a walking advertisement, but the more I do with this company the more passionate I become about them. My coach has suggested I become a coach myself, but I’m not sure. I don’t want to feel like I have to sell something. I will post final results after the three week challenge, but right now things are looking good. And I will have a training update and some pics of my redecorating projects up here soon.